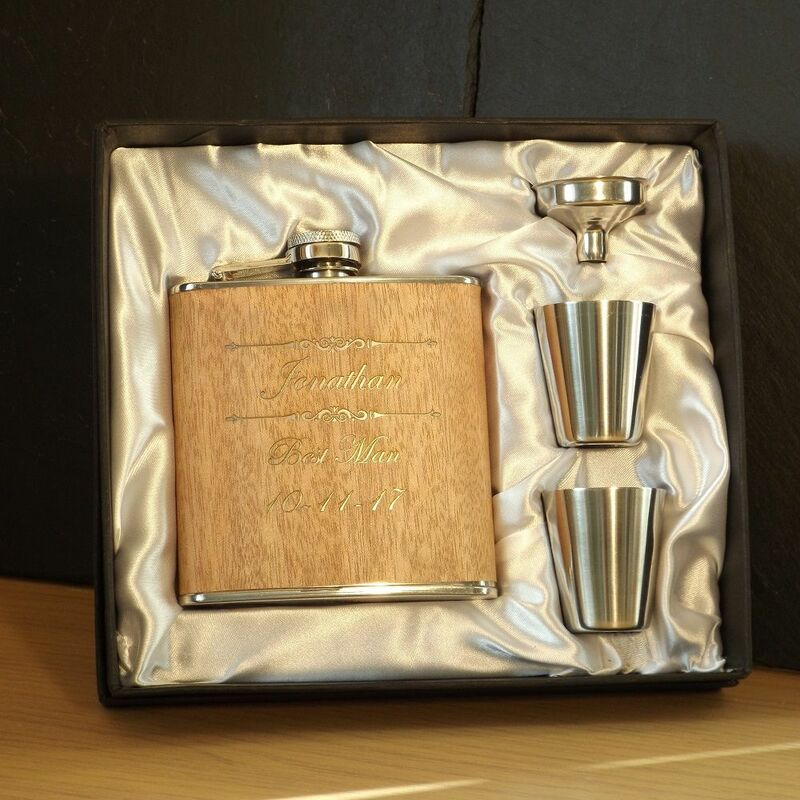 This stainless steel hip flask is wrapped with a walnut wood veneer and features a captive lid. 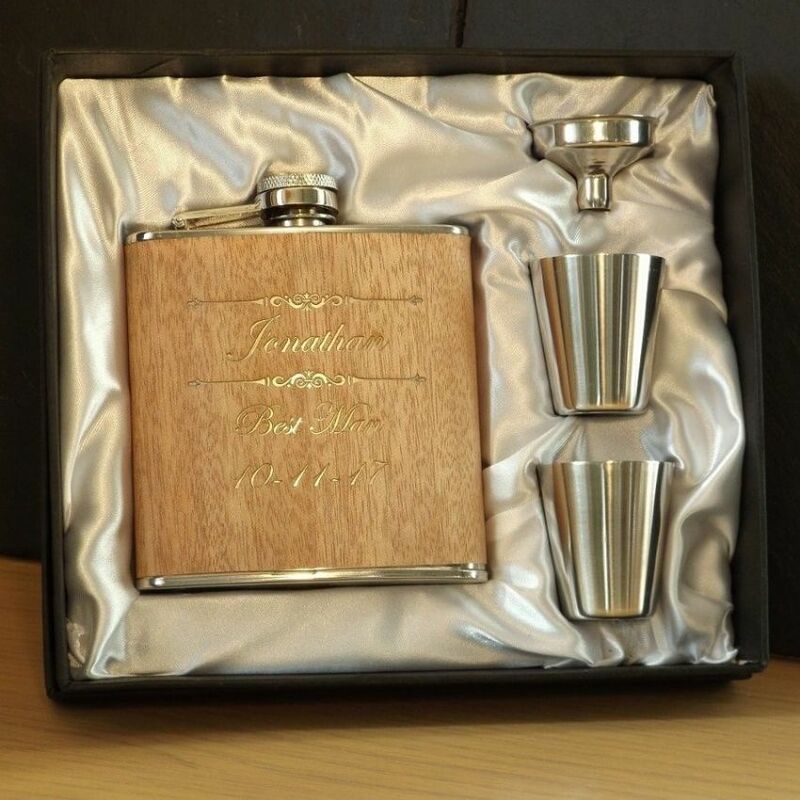 Holds 6oz of your favourite tipple and comes complete with a funnel and a pair of stainless steel drinking cups. 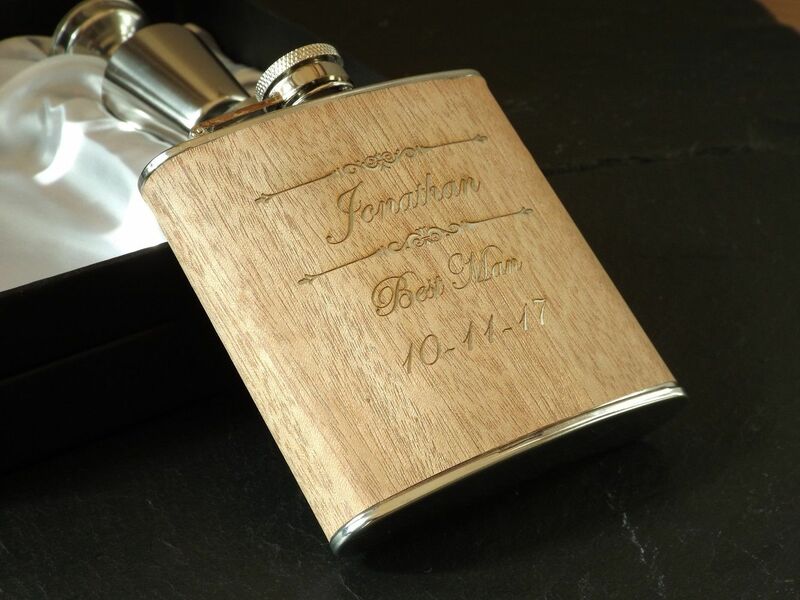 These flasks are laser engraved, the laser cuts through the wood veneer to beautifully reveal the stainless steel body beneath. 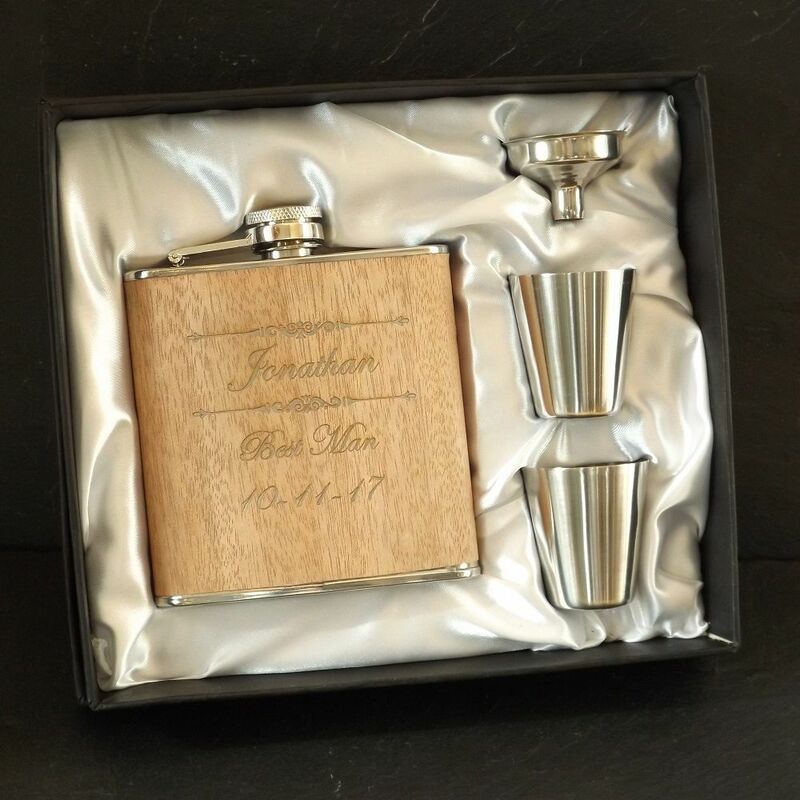 Ideal as a Wedding Day thank you gift for the guys in your Wedding party, from the Best Man to the Ushers & Groomsmen and perfect for Father of the Bride and Groom too! Makes a great gift for other occasions from those celebrating an 18th, 21st or other milestone Birthday to Father's Day and Christmas, or perhaps as present for your husband on your 5th Wedding Anniversary, which is traditionally wood. Comes in a silk lined presentation box in your choice of colour silk from White, Navy Blue, Black or Purple. 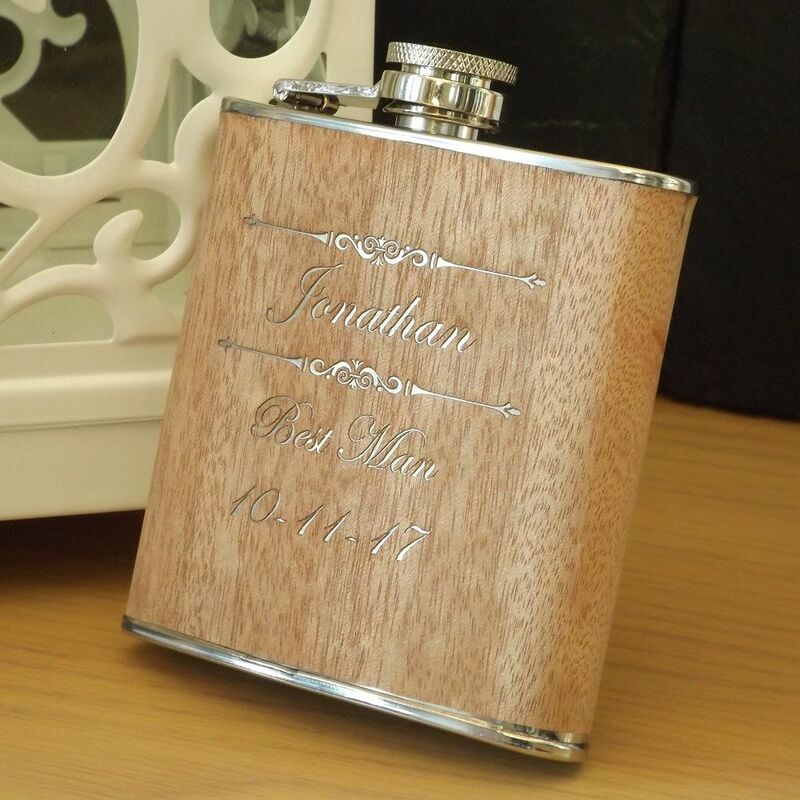 Hip Flask measures H 11cm x W 10cm x D 2.5cm approx. at widest points. the date or other wording up to 20 characters (ie. 10~11~17).